Our CooL Training provides key members of your company with basic insights into those factors that either drive or discourage organizational innovation. We do this by playing the CooL game with our participants, which gives them the chance to playfully become aware of the intricate dimensions that make or break a CooL company. 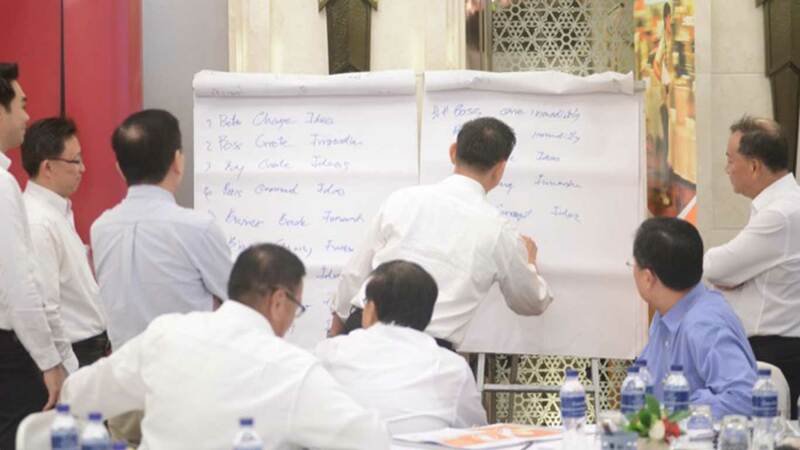 A 1 day workshop where senior executives, managers and employees learn more about the set of critical organizational factors that allow a few companies to become innovation leaders in their industries. The CooL Innovation Game that teaches the essence of organizational innovation in an energetic team game format. An appreciation of the five focus areas that need to be worked on to change transform into an innovation-friendly organization. A basic understanding of 34 organizational factor pairs (linked to five focus areas) that companies can use to. A “rough and dirty” team assessment of the current enablers and obstacles of the organization’s internal innovation capacity. A series of team ideation exercises on how to transform into a more innovation-friendly organization (using selected tools from the X-IDEA Innovation Method & Toolbox). A refreshed energy and commitment to shift from “copycat to CooL”, and to move beyond a “Me Too”-innovation approach towards aiming to become an organization who actively drives innovation in one’s category or industry. Is CooL Training not the solution for you? We offer our clients three delivery routes to our innovation culture transformation know-how, each one catering to different client needs and budgets.